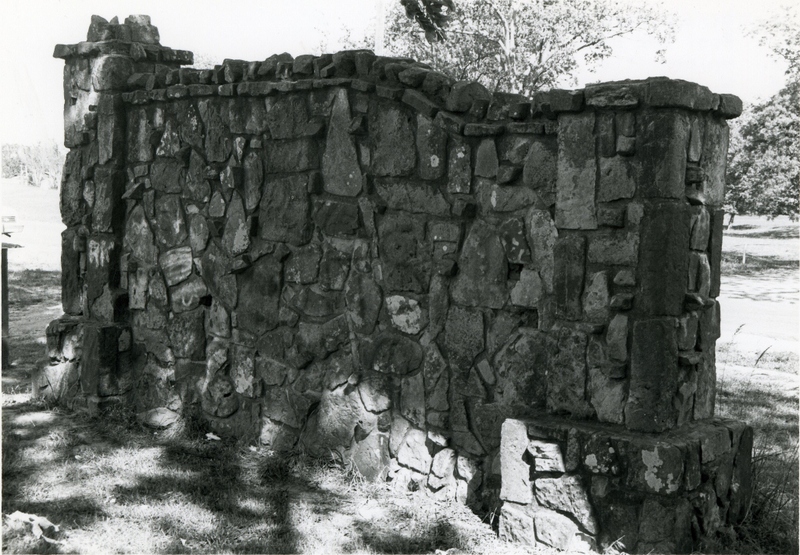 A single story, rectangular (87′ x 27′) structure, the Stroup Park bath house is constructed of untooled and uncoursed native sandstone. 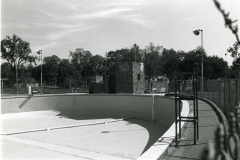 The roof is flat with a scrolled parapet over the central entryway leading to the pool. 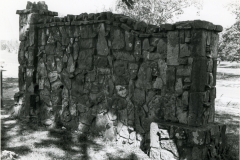 Walls are capped with cut native stone. The window openings are small with pre-formed concrete sills. 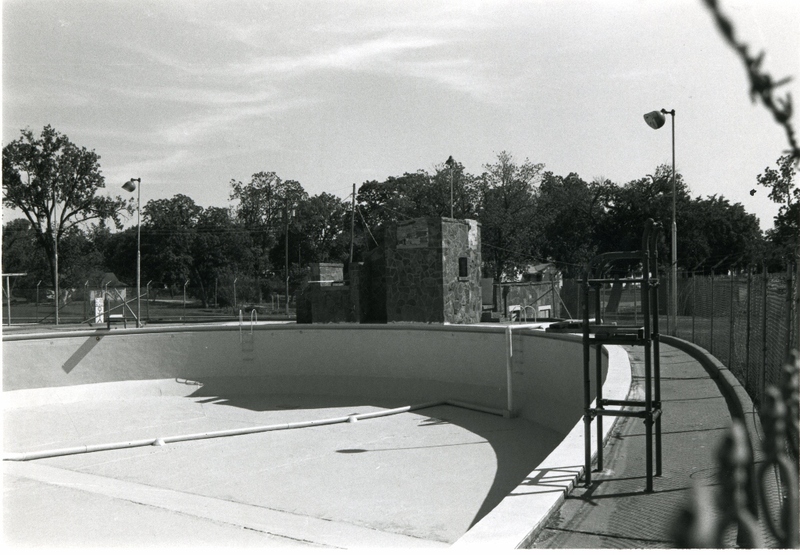 Twelve feet south of the bath house is the elliptical swimming pool that measures 160 feet by 80 feet. 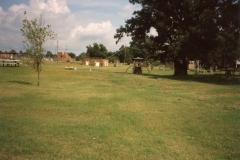 It as well as a surrounding apron is constructed of poured concrete. At the south end of the pool are rectangular diving platforms and a pump house, also constructed of native stone. 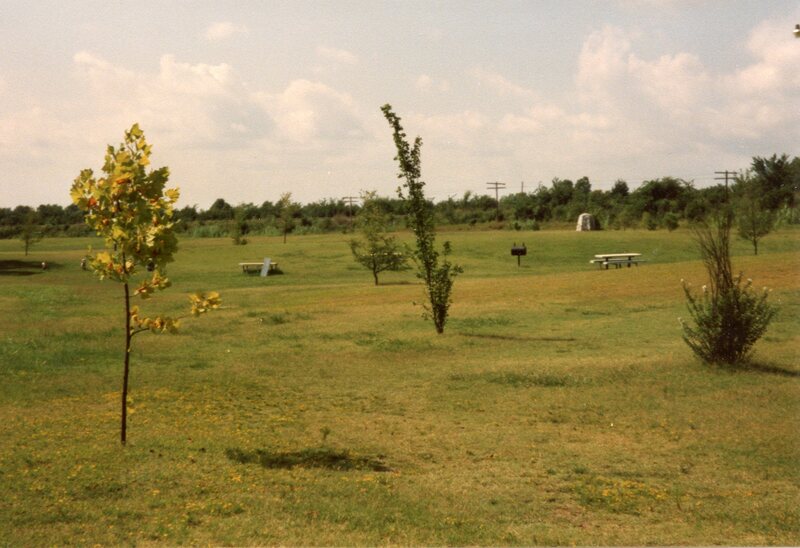 Immediately west of the pool is a half-circle wading facility, also constructed of poured concrete, with a radius of 7 5 feet. 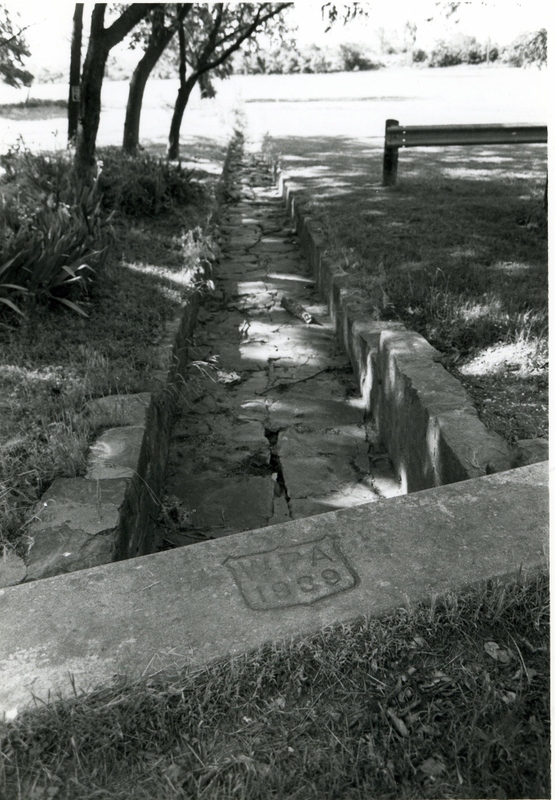 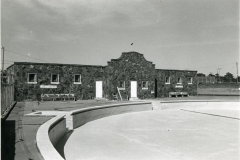 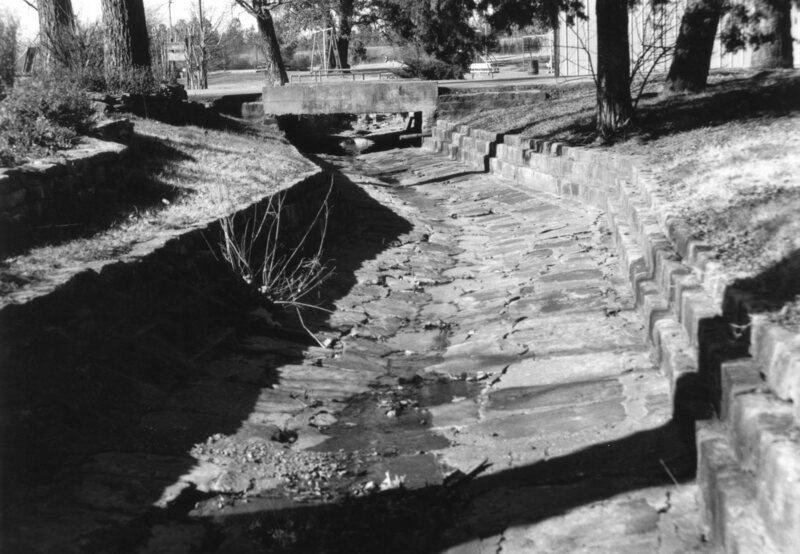 The Stroup Park pool and bath house are significant because they reflect the broad range of projects undertaken by the WPA and demonstrate that the agency recognized the social value of recreation. 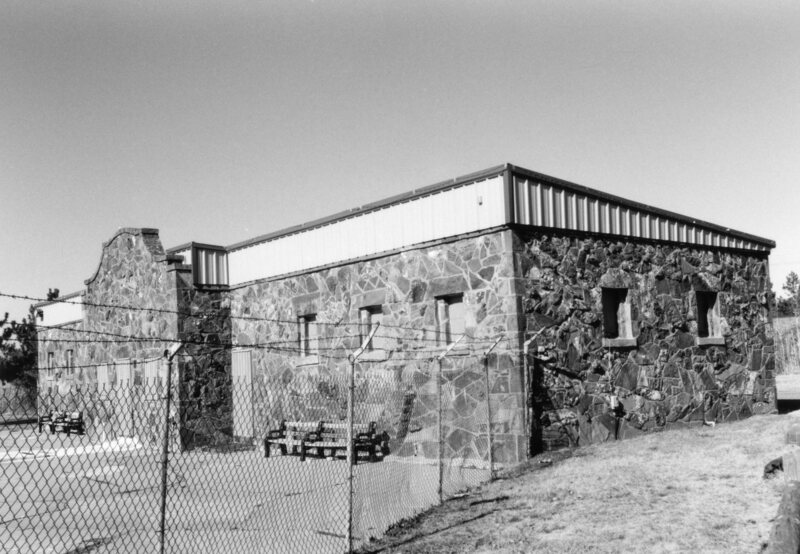 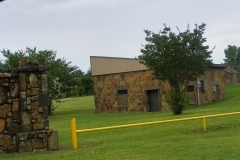 The facilities are unique in that they are one of three pools and bath houses constructed in all of Southeastern Oklahoma. 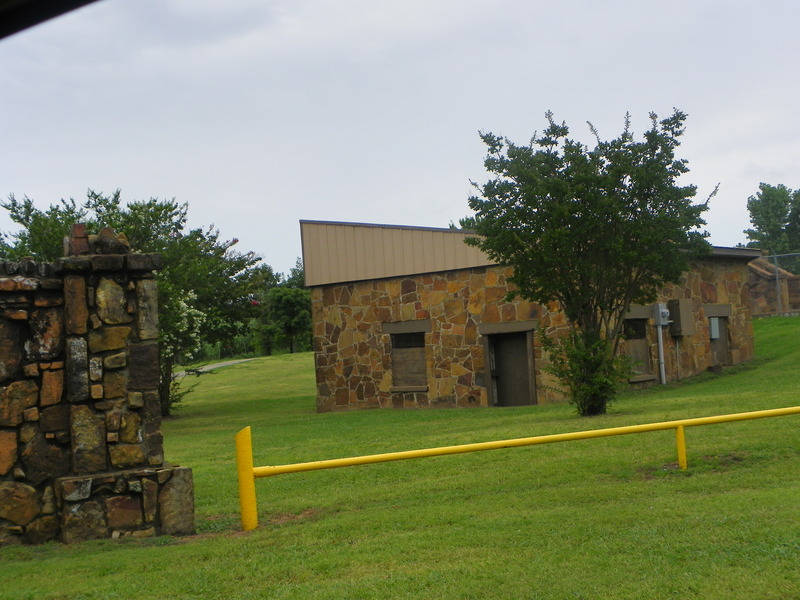 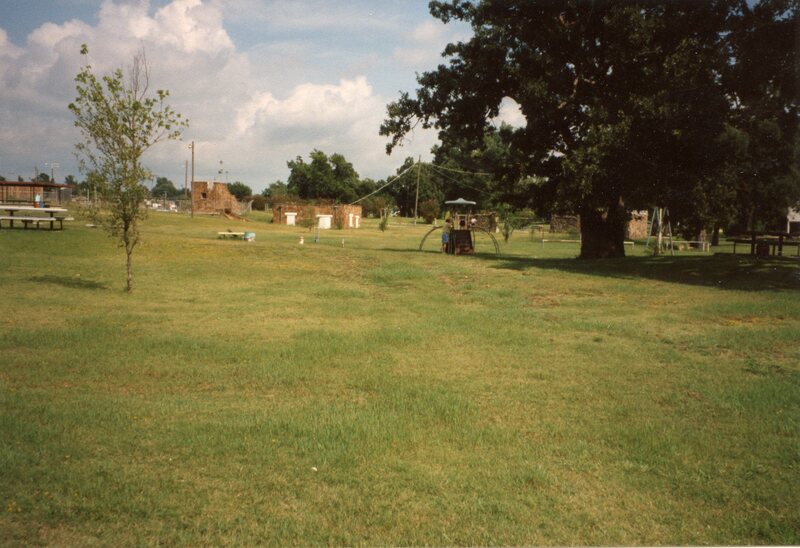 Within the Holdenville community they are architecturally significant in terms of type, materials of construction and character of workmanship. 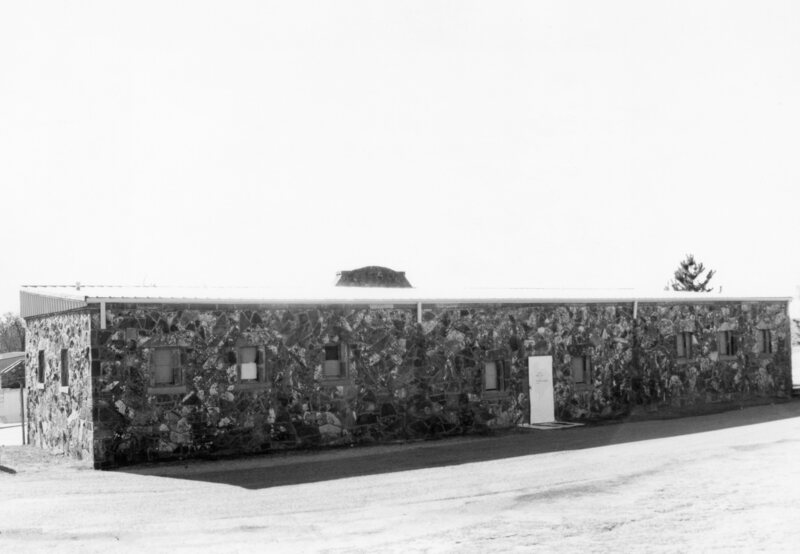 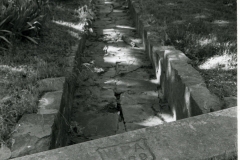 It is especially significant that construction of the pool and bath house provided job opportunities for unskilled workers who were at the time destitute and on the verge of starvation.